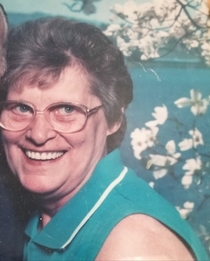 Obituary for Norma Jean (LaPorte) Cook | Crandall Funeral Home Inc.
Norma Jean Cook, passed away at the Evanston Regional Hospital in Evanston, WY on Wednesday, September 26, 2018, with those she loved around her. She was born in Williamsport, Pennsylvania on August 5, 1942 to Matthew and Della (Rougier) LaPorte. She married James Jay Cook Sr. on April 8, 1961 in Plattsburgh, New York. He preceded her in death on March 20, 2018. They were married 57 years and shared a love that will last an eternity. She spent her life supporting her husband traveling while in the USAF, and the only time they were ever apart was when he went to Vietnam. Norma worked as a C.N.A. caring for elderly and later as a manager of rental properties for many years. She was a foster parent caring for many children. She loved to be with family, and loved bowling, and barbeques at the park. Watching cooking shows and coloring were her pastimes at home and always with a Coke by her side. Norma had a great love of people doing whatever she could for them no matter the circumstances. Everyone she touched became her family. Norma is survived by her children, JJ Cook, Terrie (Gordon) Cazin, Sandra Cook and Matthew Cook. She is also survived by 11 grandchildren, and 7 great grandchildren. She is also survived by many friends who became family. In addition to her husband she is preceded in death by, Kristina Marie (daughter), Brian Keith (son), her mother, her father, and brother Jimmy. Poem by Terrie: We are sorry that you went away. We wished that you could have stayed. You know that we will miss you. We wish that we could kiss you. We are sorry that you went home to stay. A memorial service will be scheduled to honor her life at a later date.